Dr. Andrew Kolodny is the Co-Director of Opioid Policy Research at the Heller School for Social Policy and Management. His primary area of focus is the prescription opioid and heroin crisis devastating families and communities across the country. He is also the executive director of Physicians for Responsible Opioid Prescribing, an organization with a mission to reduce morbidity and mortality caused by overprescribing of opioid analgesics. 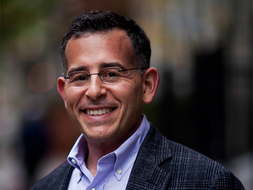 Dr. Kolodny's testimony before for the United States Congress is available here.